By breaching a protection order with an horrific, machete attack on his ex partner, Uso Auvale Taumata Bragovits does not belong in our society, says Justice Mata Tuatagaloa. Bragovits has been convicted and sentenced to 11 years and nine months imprisonment on one count of attempted murder. The sentencing was delivered last week with Pau Mulitalo representing the defendant and Leone Su’a for the National Prosecution Office. 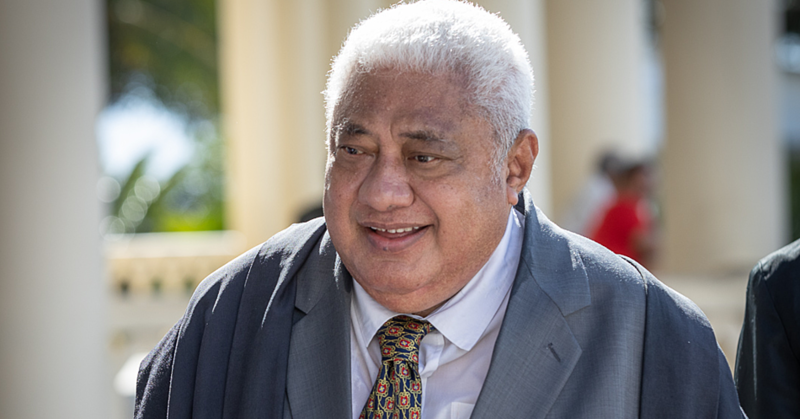 Justice Tuatagaloa did not accept the mitigating factors put forward by the defence counsel who that the offence was incidental, not premeditated. Mr Mulitalo claimed the victim was partly to blame for the attack, because she gave the defendant false hopes when she agreed to marry him. According to the police Summary of Facts, the incident occurred on the 22nd October 2015 around 5am when the victim was on her way to early morning Mass. The Summary stated that Mr Bragovits and the victim had been in a de facto relationship until the victim ended it and he became violent towards her. On the morning of the incident, the accused waited for the victim with a machete. According to the medical report, the injuries sustained by the victim were very serious and will leave her scarred for the rest of her life. The wound on her neck was 15cm deep which also split her right ear and the right side of her face. Another wound was 40cm on her upper back and she lost one of her fingers. “Because of the seriousness of her injuries, she had to undergo emergency surgery that morning,” said Justice Tuatagaloa. 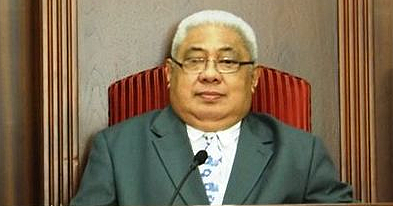 In sentencing the defendant, Justice Tuatagaloa reminded Mr Bragovits that given the circumstances of this matter, a custodial penalty was appropriate for him. She said the Prosecution Office was seeking 12 years imprisonment while defence counsel was seeking 10 years. However Justice Tuatagaloa pointed out that she was not bound by either application. She also reminded Mr Bragovits that there was a protection order issued against him and with any protection order, there’s the force of the law behind it and the court will not take lightly if such a law is being violated by someone. The court took 15 years as a starting point for the charge of attempted murder then deducted six months due to his banishment from the village and the fine his family had to pay. Another six months was deducted for the traditional apology his family offered to the family of the victim. Another 15% discount was deducted when he pleaded guilty to the charge. 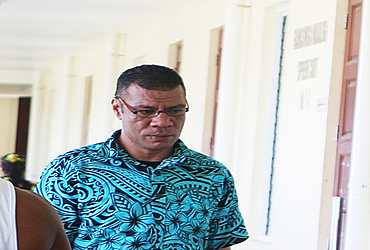 Mr Bragovits was sentenced to 11 years and nine months imprisonment. For the charge of being armed with a dangerous weapon, he was convicted and discharged. 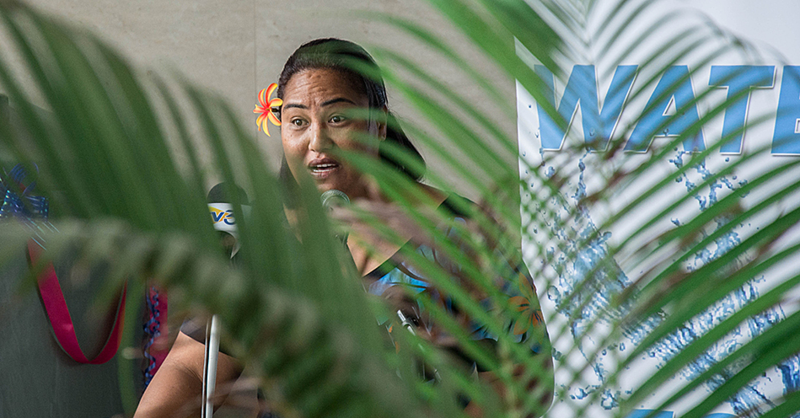 Justice Tuatagaloa reminded those present in the court that some men are still treating women as a property and unless that mindset is changed, women are no longer safe around men with such violent attitudes. She also reminded Mr Bragovits that he had breached the law and that the court did not take that lightly.